Mature mostly-retired professionals good for last-minute/emergency. Home owners + expats/travellers, great references, non-smokers. 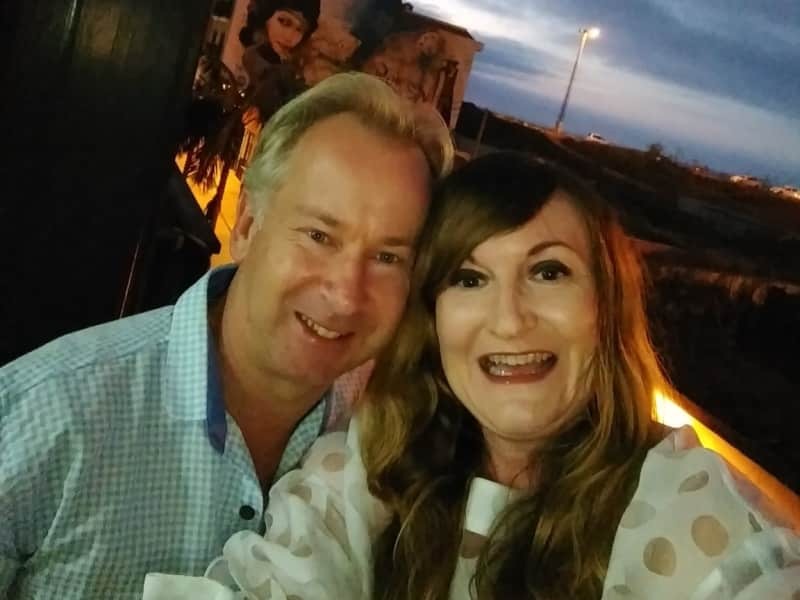 A chartered accountant & PR consultant (healthcare), we left Australia in 1994 (married 1988) for London from where we had work assignments living in Milan, Tokyo, Hong Kong, Sydney and, for 2 years, commuting every month to New York. We both have Australian and UK (EU) passports. We bought our first starter home in 1987 & built the garden from scratch. Since then we have owned two more houses/gardens and extensively renovated each of them, doing most of the work ourselves. We now have a flat in London SW1 which is rented out. Both of us are non-smokers & immaculate housekeepers. We always had cats until our nomadic life began & now we terribly miss having pets and long to cuddle other people's. We love all animals and look after strays wherever we can around the world (see photos). Our careers involved problem-solving & being highly responsible & we want to give back more of that in semi-retirement. Doing a couple of house/cat-sit favours in 2015 & late 2017 alerted us to house-sitting's benefits of time with animals when our lifestyle prevents having our own pets. Immersion living in foreign cultures has been our life & house-sits are perfect for that. We are not full-time house-sitters as we are of independent means. 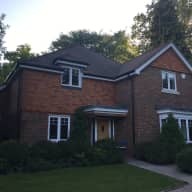 The house sits we have done so far (as at June 2018) have been to help out people in need and they have been very happy (see references), leading us to want to do more of it. The first was in Kampot, Cambodia, in 2015 for a prominent elephant rescuer who had just rescued a dog with medical needs and had to go away. We stayed in her home and cared for Will the dog and her cat Ellie. At Christmas 2017, also in Queensland, someone going to Sweden for Christmas wanted very reliable house sitters who were personally, highly recommended to her. We were put forward by our Airbnb hostess (see references) and agreed to do the sit not only because high-season accommodation was scarce but mostly, we wanted a chance to spend some time with the lovely cat Mimmi (see references). Once again they were brilliant. They arrived shortly after our early departure and took up the reins with no fuss. They kept us informed of anything occurring with the cats (ticks and scrapes) and coped with them all. I would highly recommend them both and hope very much that we will be able to cross paths next year. My three kitties had the pleasure of Darryl's company recently and were very happy and well cared for. Darryl arrived on-time, was super efficient and well prepared for handover, having produced his own spreadsheet of questions, some of which I had never considered! During my time away I received updates with pictures, which was very reassuring. Upon my return the house was spotless and Darryl followed up after departure to ensure I had no issues, which I didn't. I highly recommend Darryl and would be extremely fortunate to be able to secure his services again in the future. Lindy and Darryl were great in spite of Lindy having to leave to deal with a family accident. Darryl held the fort admirably and more than coped. The cats were in great shape upon our return and the house was spotless. He kept in touch whilst we were away and managed our few bits of post anomalies quickly and efficiently. I would highly recommend them and hope that they will sit for us again. 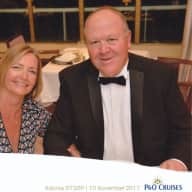 Lindy and Darryl have stayed in our accommodation in Tasmania several times over the past few years long term stays they were very respectful of our property, clean, considerate,quiet and a joy to have as guests. Whilst we were away they took care of our little dog whom they looked after very well..I would highly recommend Lindy and Darryl to take care of your pet and home they are a very gentle caring couple. 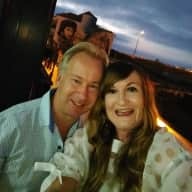 I have no hesitation recommending Darryl and Lindy as house and pet sitters, they have stayed in our house on a number of occasions now, everything is always left clean and tidy. They are observant and considerate of the not just the immediate area but aurroundings as well and as a result everything is taken good care of, we have never had any worries or concerns for which we are very grateful. Our two dogs Poppy and Chico are always over the moon to see them. I have known Lindy and Darryl for more than two decades both professionally and as friends. Because of their careers they have travelled extensively to many major cities throughout the world and wherever they have lived have always actively engaged themselves in those communities. It could be said they are gregarious and outward going in the nicest possible way and are always excellent company. They are both mature, kind, generous , and sensitive to the needs of others and are a privilege to know. ... not to mention being totally organized. I am more than pleased in supporting their application to becoming members of TrustedHousesitters and know that any property they stay in will be lovingly maintained and any animals in their care totally spoilt ! I have no hesitation in recommending Lindy and Darryl to house sit and look after any pets. They took great care of our alpacas and the animals warmed to them very quickly. Lindy and Darryl will look after everything as if it is their own. They are honest and reliable and I will be planning my next holiday for when they are available in our area. Lindy and her husband Darryl are two of the most trustworthy, honourable people I know. I recommend them for house and pet-sitting without any reservation. They won’t let you or your animals down. They are clean, tidy, caring and considerate. Basically, they are the perfect people for your house and pet-sitting needs. I’m writing to recommend my house sitters Lindy and Darryl Hemsley. They are a lovely friendly cat loving couple and they took the very best possible care of my cat, plants, pool and house.! Lindy and Darrel house sat for 4 weeks while I went overseas and are the best sitters i have had. They are clean, tidy, considerate and very knowledgeable about cats and plants! ! They also communicated regularly with me to ensure everything went smoothly while I was away.! I will highly recommend Lindy and Darryl to anyone thinking about taking on house sitters. I came home to a happy healthy cat, clean house, tidy garden and pool. It was great not to have to start cleaning but instead be able to rest of the jet-lag in a clean freshly made bed! My very big thanks to Darryl and Lindy I will have you back any time! !